Click on any chart below to see the full-size image. Higher cetane fuels have shorter ignition delay periods and will combust more efficiently than lower cetane fuels. 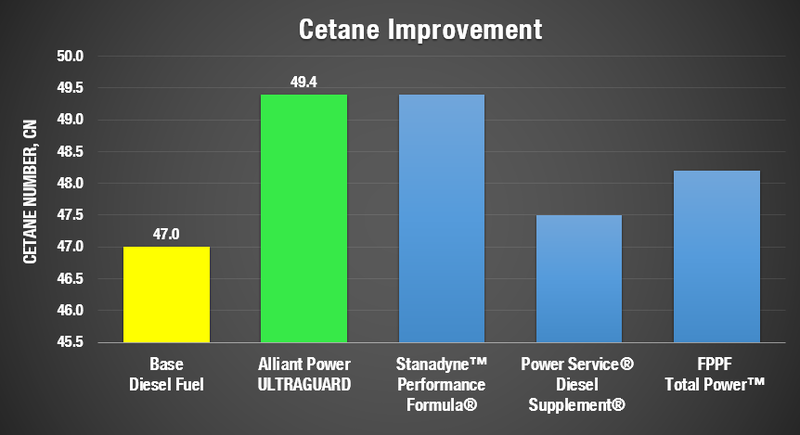 Alliant Power ULTRAGUARD® diesel fuel treatment increases cetane levels in diesel fuel providing superior engine combustion, improved cold starting, and smoother engine running. Alliant Power ULTRAGUARD® is a highly concentrated lubricating diesel fuel treatment that is designed to supplement dry fuels that are known to cause premature wear on the fuel system. 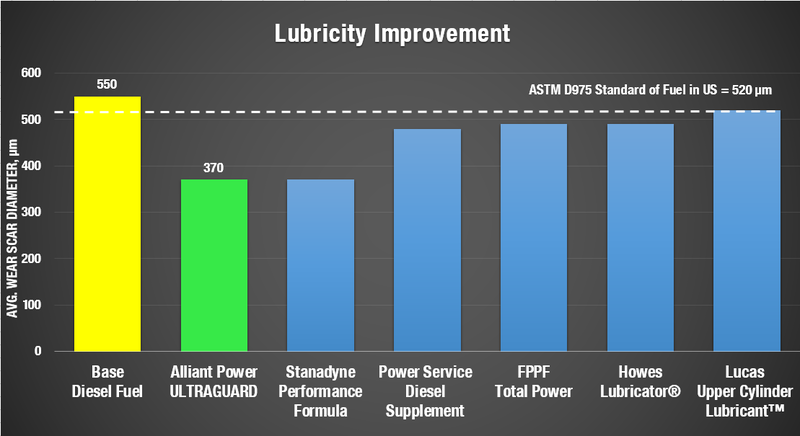 Alliant Power ULTRAGUARD® diesel fuel treatment greatly reduces the average wear scar diameter of the base fuel minimizing friction and wear on critical components of the engine’s fuel system. Cold Filter Plug Point (CFPP) is the lowest temperature at which a given volume of diesel fuel will pass through a diesel fuel filter. 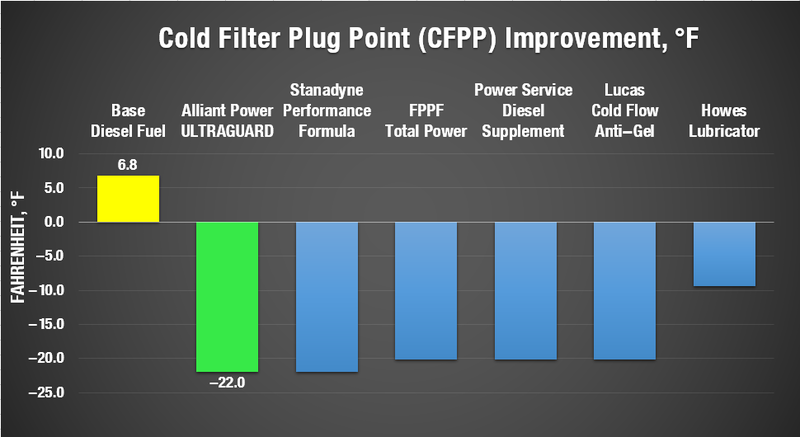 Using Alliant Power ULTRAGUARD® greatly reduces CFPP temperature providing superior cold starting and cold weather engine performance.